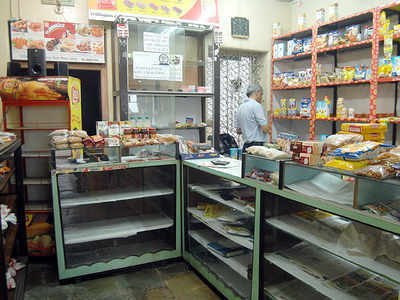 INDORE: Indore’s traditional Siyaganj market failed to glimmer this festive season as demand for grocery items dropped by around 40 per cent and the outlook remains muted owing to absence of any festival or fresh demand in near term. Unlike past years, sale of dry fruits, coconut, spices, sugar, sago and other items fell sharply leaving behind towering inventories to cater to the festive season, traders and dealers said. There are about 800 stores in Siyaganj Kirana market that houses stores of spices, dry fruits and grains among other commodities. Festivals and weddings are peak season, when demand for grocery items shoots up significantly but this season, purchases remained very low, traders said. Traders said dry fruits sales always goes up in Holi as it is used in making thandai but this season, the market sentiment was very lethargic. Traders said that they maintain only short term stocks so that they get exhausted fast because no one wants to block capital looking at the sluggish trend. They said, the trend is not healthy and it looks like the traditional market is losing its sheen day by day.